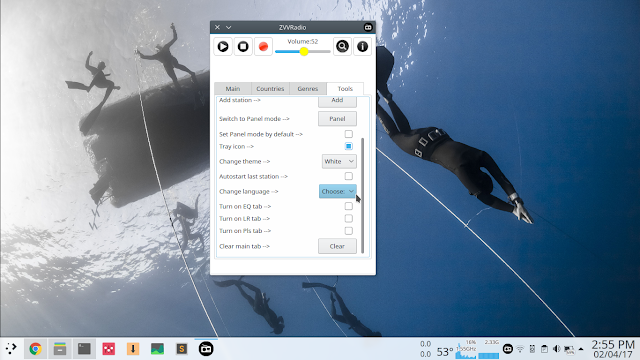 ZVVOnlineRadio is a nice little app that allows you to listen and record online radio on Linux. The app includes large number of online radio stations, categorised by countries and genres. It supports Ubuntu app-indicator as well as system tray panel applets. Now download deb package from here and install it using your software management tool. The default language in which the app starts is Russian. However, you can change it from tools tab as shown in the screenshot below. Just restart app to apply the change.